This Interior Designer's own home is what you have been searching for ..... 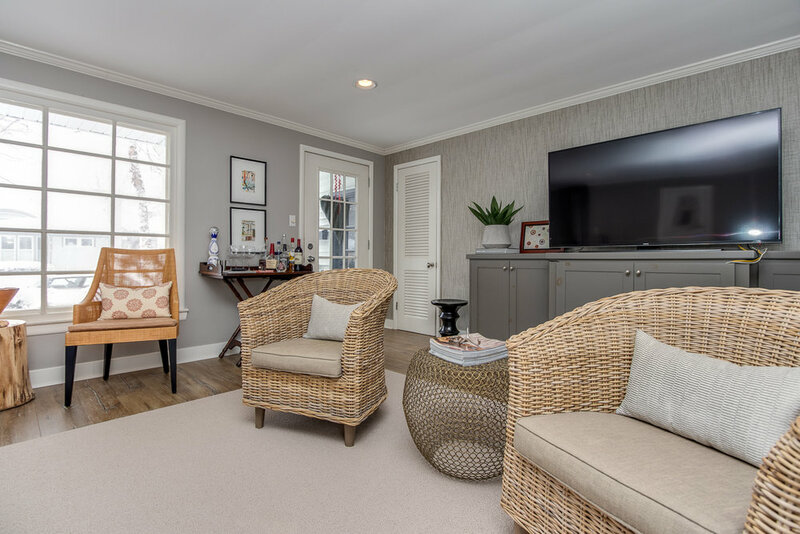 This home is beautifully updated with a modern and elegant main floor living space on a large, private corner lot just a short distance from Downtown Gaslight Village. Seller just completed a major kitchen renovation (complete renovation down to the studs) finished with high-end touches, custom paint colors, bead board ceiling, recessed lighting, pendant lighting, a Villeroy & Boch Farm Sink, stainless appliances (Five Star Commercial Grade Range), and new snack bar with custom woodwork bookcases on either side of wall opening. Eating Area with bay window and custom bench seat with cushion, an alcove with wet bar, a custom wood fireplace surround with built-in's (the upper cabinet doors are recessed). The large family room has large plank wood flooring, recessed lighting, 2 walls have high-end grasscloth wallpaper, more custom cabinetry with built-in's, and the slider to the back "courtyard" loaded with many beautiful perennials, custom Paver Patio with a Pea Stone pathway, and fenced backyard. 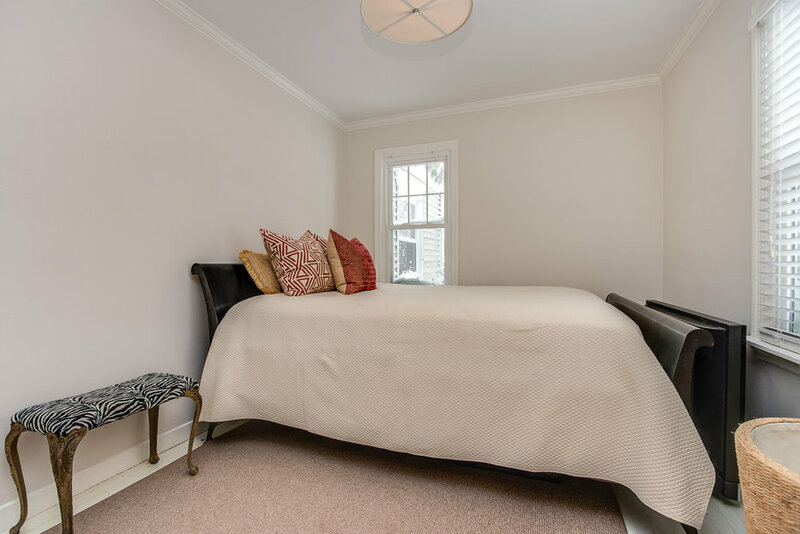 The very large master bedroom features gorgeous wool carpeting in a neutral grey palette. 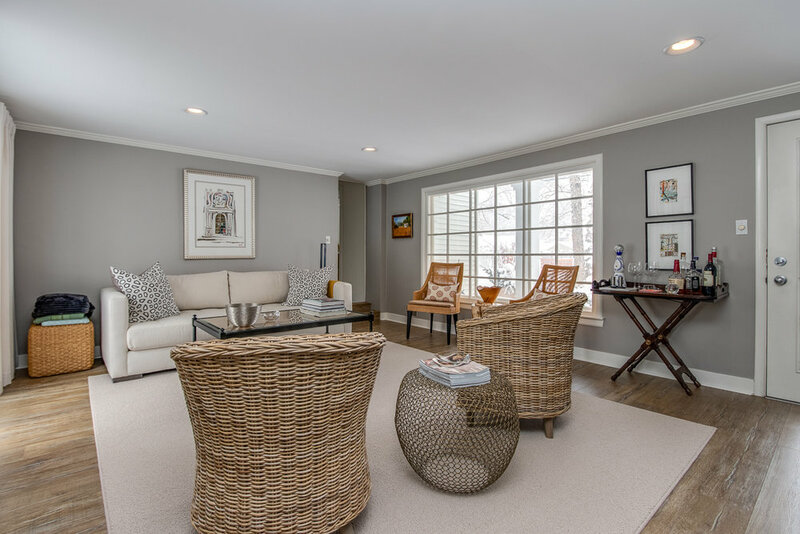 The updated full bathroom is conveniently located between both main floor bedrooms and could easily be expanded upon within the master to create 2nd full bath and/or a private master suite. Those wanting additional living space can finish off the basement (previously used as a non conforming 3rd bedroom ). The home is situated on a double-size lot and also includes an attached two stall garage. 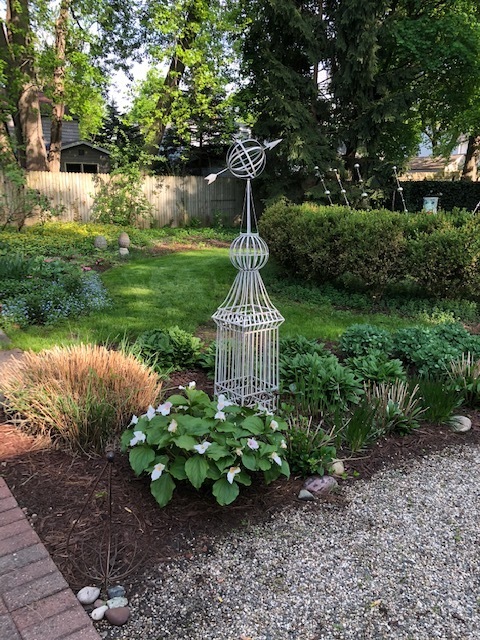 With a charming exterior showcasing a perennial garden, new cement entry walkway, new brick front porch/path finished in salvaged brick (from the east side of the state), a new roof, all new gutters, new windows/slider, new washer/dryer and a new furnace! Now ready for the new owners to move in and begin the art of living! This is a perfect residence for a professional and/or alternative to high end condo living.-without the condo fees. A great example of a " Beautiful And Not So Big House", with plenty of storage throughout. You will love the energy and location of this house.